The 2019 Annual Meeting will provide a platform to discuss the emerging issues and the direction to undertake in the areas on nutrition, food safety and sustainable agriculture among key stakeholders of ILSI SEA Region. 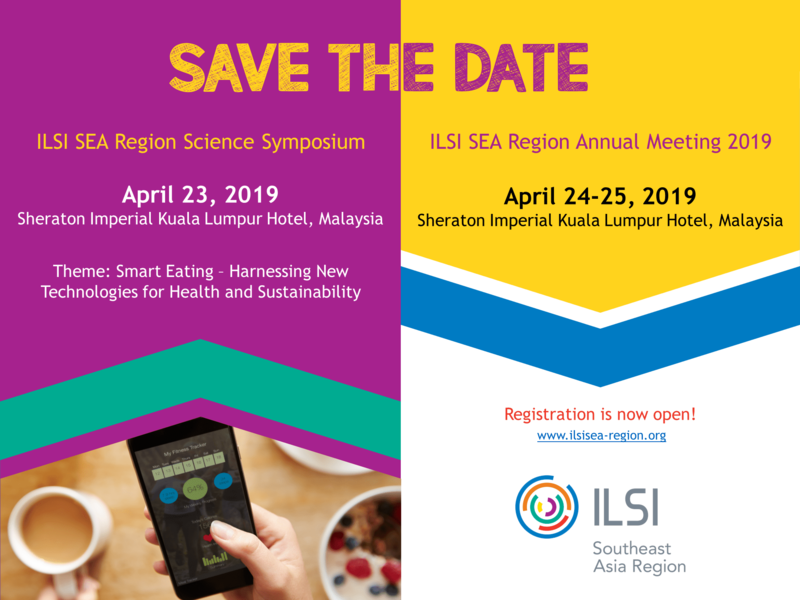 In addition, ILSI SEA Region is organizing a 1-day scientific symposium on ‘Smart Eating – Harnessing New Technologies for Health and Sustainability’ which will be held prior to and in conjunction with the Annual Meeting. Please visit https://ilsisea-region.org/event/smarteating2019/ for more details on the science symposium. Please download the booking form HERE and send the completed form directly to the Reservation Department of Sheraton Imperial Kuala Lumpur Hotel at SIKL.Res@starwoodhotels.com AS WELL AS Assistant Director of Event, Ms. Priscilla Loh at Priscilla.Loh@sheratonhotels.com. *Please note that the above rates are subject to availability.